SHALLOTTE, NC – Sometimes I just feel guilty about what I do. At the risk of oversimplification, I get to play a generous amount of free golf. Be that as it may my friends, I will pay to play this one on a regular basis. It’s that special. A Par 72 Arnold Palmer Signature course, Rivers Edge has everything you’d expect in a great golf course. Add this to your Myrtle Beach Golf Authority package for sure. Visually, the course is absolutely stunning. Six holes actually parallel the Shallotte River and the marshland it borders. If you do not take a moment and enjoy the view on each of these holes, you’re playing the wrong sport. The golfer’s eye candy goes beyond those dramatic holes and spreads through out the course. 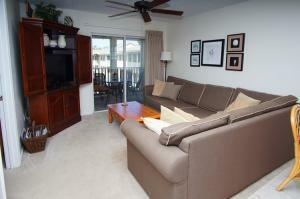 Hardwood and native pine trees with strategically placed ponds and berms border numerous holes. Subtle elevation changes add some dramatic effect along with waste areas and rather large fairway and green side bunkers. Rivers Edge is not particularly long, but I strongly recommend you follow the tee recommendations based on your handicap. They’re on the scorecard. With five sets of tees you’re certain to find one that works for you. The Gold tees are 6909 yards and rated/sloped at 74.7/149. The Black tees are 6440 yards at 72.1/139. White tees are 6033 yards at 70.0/126. Green tees are 5295 yards and 67.1/117 (M) and 72.3/138 (W). Blue tees play at 4692 yards and 68.2/119. You’re encouraged to follow your handicap, as there are a few carries that must be made, if you plan to score well. Although some holes require length off the tee, there are also a few that require you club up due to elevation changes and menacing traps protecting the green. Case in point is No. 1, which is a very good starting hole. Favor the right side off the tee and be certain to avoid the fairway bunker on the right and the stream that crosses the fairway about 100-yards from the center of the green. You should have a short to mid-iron to the green. Be aware of the conditions and the slight elevation change. You do not want to be short. No. 16 is the 4-handicap hole and a real challenge. Start with an uphill carry over wetlands off the tee and a nasty little fairway trap on the left and continue to a downhill well-protected green. Walk away with Par and you’ll feel very good. The character of the Par 4s is memorable. Fairly wide fairways on most holes allow you some margin of error. There are a few holes that do have narrow landing areas and are well protected by fairway traps and waste areas. The beauty is that each Par 4 has a different look and often requires a different strategy. I really enjoy courses you need to think your way around and often hit every club in your bag. Even the ones you wish you hadn’t brought. The Par 3s are each dissimilar requiring a diverse approach. No. 5 is short with a major elevation change and tough putt for birdie, while No 15 requires considerable carry to reach a more generous green. It’s the Par 5s that are just to good to believe. No. 3 has a landing area the size of my wrist and is protected by bunkers in the lay-up area and a small stream in front of the green. No. 9 might just strike fear into every golfer with a second shot that needs to carry a large marsh area to a landing area that looks awfully shallow from the fairway. Next, shot requires a downhill approach to a very narrow green surrounded on three sides by marsh. The back nine provides No. 11, the 2-handicap, that only requires three very good shots to stay out of the woods, waste area, ponds and marsh. It’s a great hole. Last, but not least No. 17 asks you to carry as much of the marsh as you’re able and a second shot to a tiered fairway landing area. Continue to the downhill green protected, you guessed it, by marsh. I have good news and bad news on the greens. The good news is they’re very large paspalum greens and in great shape. The bad news is the greens are very large paspalum greens, so you better hit it close and take a three putt out of the mix. 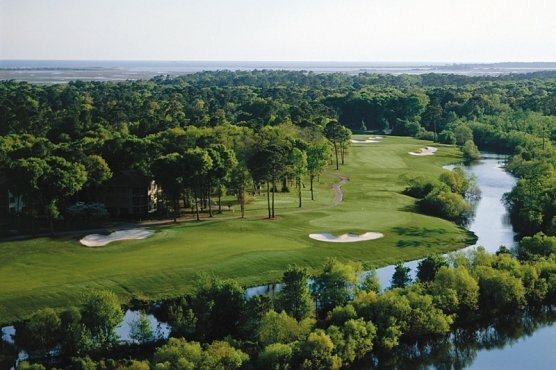 Plan to play Rivers Edge on your very next trip to the Myrtle Beach Area. Remember to be a yardage book scholar on this one. A player that keeps their mind in the game will score well and thoroughly enjoy the Rivers Edge experience.